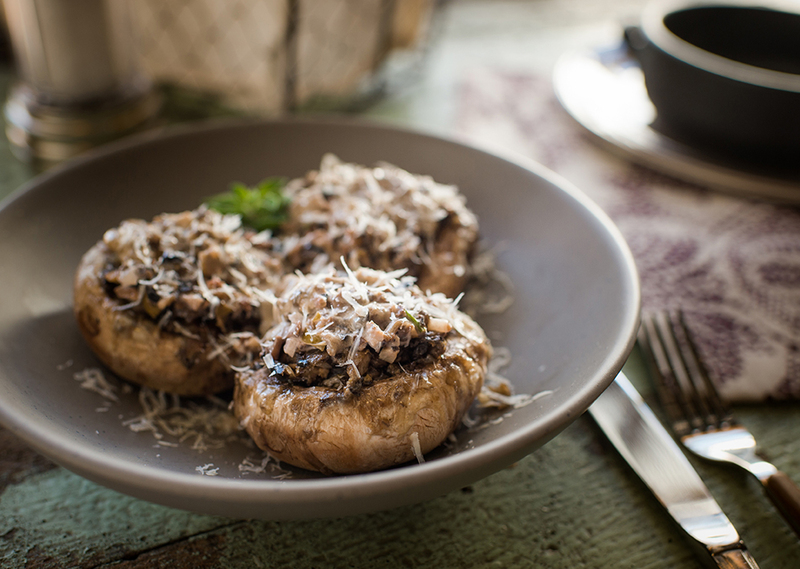 Stuffed mushrooms are a satisfying substitute for heavier meat entrees, or they can serve as mouthwatering appetizers. The mixture of olives and onions with melted cheese adds delicious substance to the dish. Preheat the Evolve Grill to 350 degrees. Cut the stems off the mushrooms and hollow out each mushroom cavity to make room for the filling. Mince the mushroom stems and mix together with the remaining ingredients. Spoon 1 Tsp. of Filling into each mushroom cap. Place the stuffed mushrooms on the grill. Cook for 5 to 6 minutes until the cheese is melted and the mushrooms are heated through. Tips: To clean mushrooms, wipe caps with a dry paper towel. Salad olives, found in the condiment aisle of the grocery store, are already chopped for convenience.